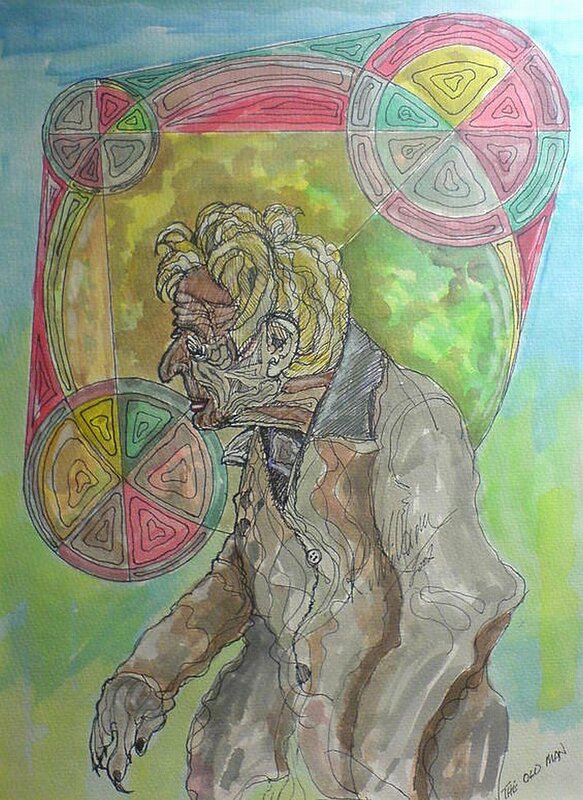 Old Man and Abstract. Watercolour. Old Man. Watercolour and pen. Painted 2002.